First food article on the blog! I didn't plan on writing about food or sharing recipes but when I saw this on the internet, I just couldn't resist! Everyone who loves Nutella, take one step forward! This recipe combines Nutella and cake and does it in super speed mode! It takes about 5 minutes to make this cake. So are you ready? Here we go! ♥ Take a large mug and put all the ingredients in the mug. ♥ Stirr well and beat the mixture with a fork until you get a nice smooth batter. 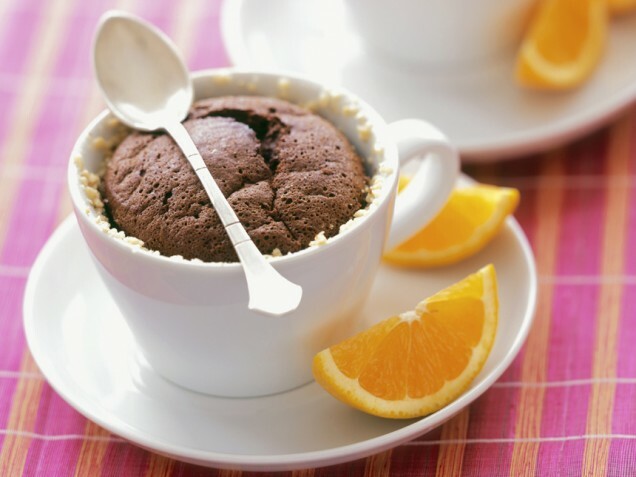 ♥ Stick your fork, or even better: a long toothpick or stick in the mug to see if the batter is all dry on the inside. ♥ Ready! Now you can enjoy your cake out of a mug! ♥ You can add some chocolate sauce, ice cream or whipped cream if you like! What do you girls think about this recipe? I think it sounds delicious! I will definitely try this in the near future! Translation student . Henna lover. Makeup-geek. Fashion addict. Bookworm.